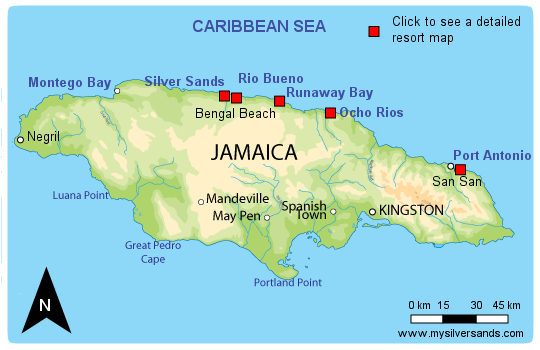 Image 1 of 15: Buena Vista Villa is a three-bedroom vacation rental in Silver Sands Jamaica. 2 of 15: Buena Vista's private pool is located on the Northern side of the property with a mature garden around the deck. 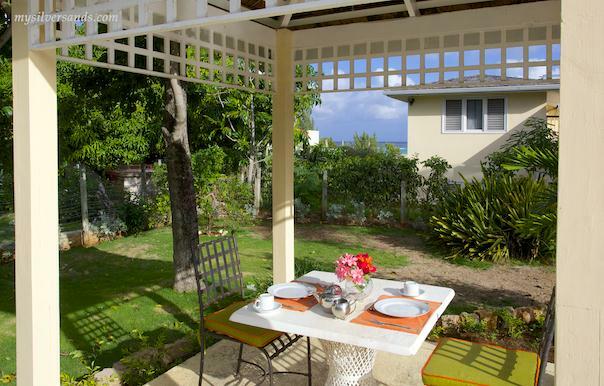 3 of 15: Dine outdoors, in the shade of the verandah. 4 of 15: The living room at Buena Vista Villa is very comfortable and spacious. There are beautiful ceiling fans. 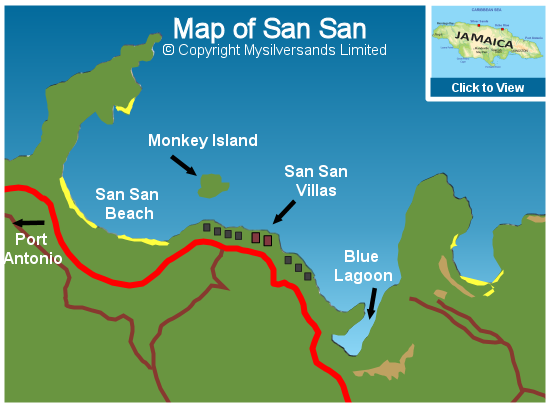 It is furnished with bamboo furniture for a great tropical ambience. The living room is equipped with a television. Double bifold doors open out to the patio, leading to the pool. 5 of 15: The master bedroom at Buena Vista is very comfortable and spacious. 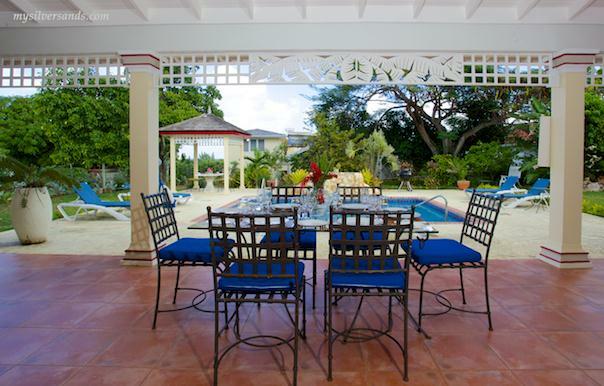 It is elegantly furnished, and opens out to the patio and pool area through large double doors. 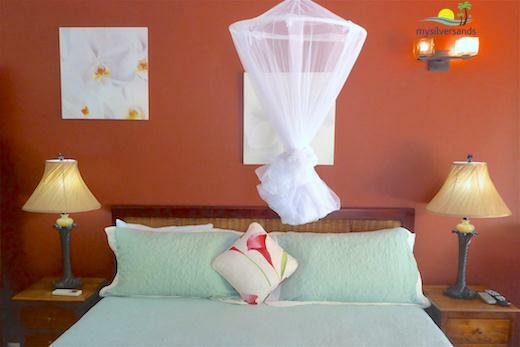 The sea breeze flows through the room, and there is also a ceiling fan and air-conditioning. This beautiful bedroom is also equipped with a television. 6 of 15: Bedroom 2 at Buena Vista is furnished with a queen bed, and opens out to the patio and pool area through large double doors. 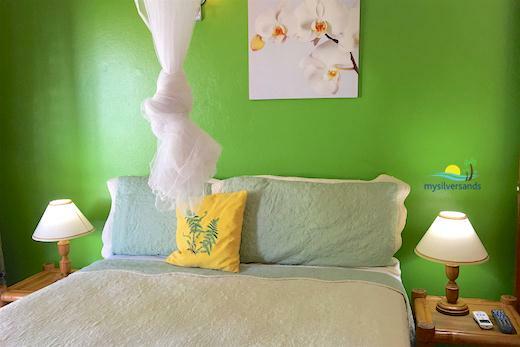 The sea breeze flows through the room, and there is also a ceiling fan and air-conditioning. It is also equipped with a television. 7 of 15: Bedroom 3 is also furnished with a queen bed. It is also cooled by a ceiling fan and air-conditioning. It is also equipped with a television. 8 of 15: There is a cozy lounge area at the entrance of Buena Vista. 9 of 15: Between the Living Room and the Entrance Lounge there is a dying area. 10 of 15: Fully-equipped kitchen. 11 of 15: At the entrance there is a Porch with a bench seat. 12 of 15: There is a cozy Gazebo at the Northwest corner of the pool deck. 13 of 15: Dine or play games in the poolside Gazebo. 14 of 15: All through the day, parts of the pool deck will be in shade and parts will be in the sunshine. 15 of 15: Buena Vista has a wonderful spacious patio beside the expansive pool deck, furnished with six comfortable lounge chairs and side tables. A poolside gazebo provides additional shade. Note the master bedroom (to the left in the photo) opens out on to the patio. Similarly Bedroom Two is on the other side of the living room, all opening out to the patio and pool. 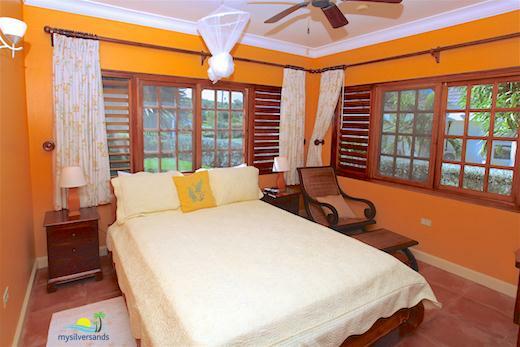 Buena Vista Villa is a refurbished 3 bedroom designer decorated vacation villa with a private swimming pool. 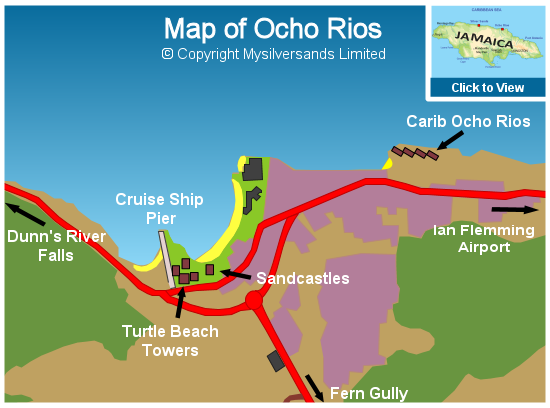 The house makes the most of the cooling tradewinds, but nevertheless, every room has ceiling fans and the bedrooms are air-conditioned. 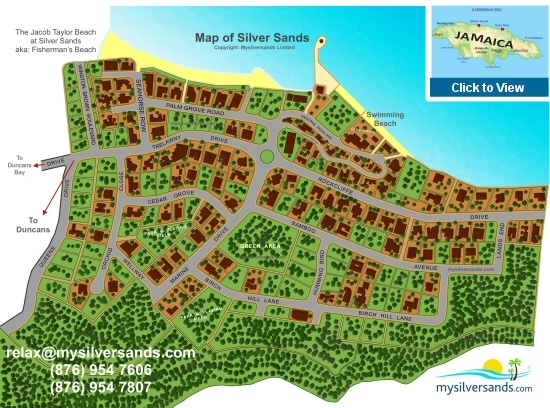 It’s just a five minute walk to the white sand Silver Sands beach. 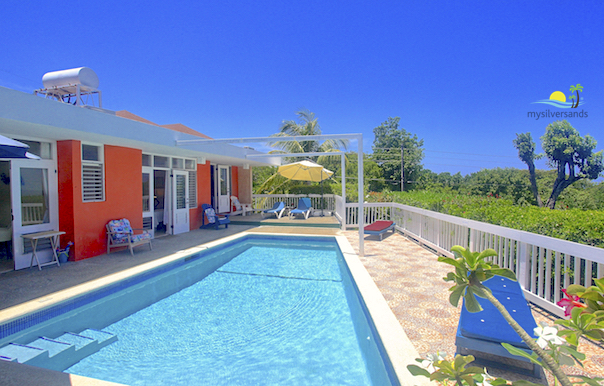 Private swimming pool with spacious deck, patio and poolside gazebo. The whole house is furnished with tasteful tropical-style furniture. Cable TV in the lving room and every bedroom, DVD and CD player. Mosquito nets over each bed. All windows and doors are screened. Cook and housekeeper work an 8 hour day. 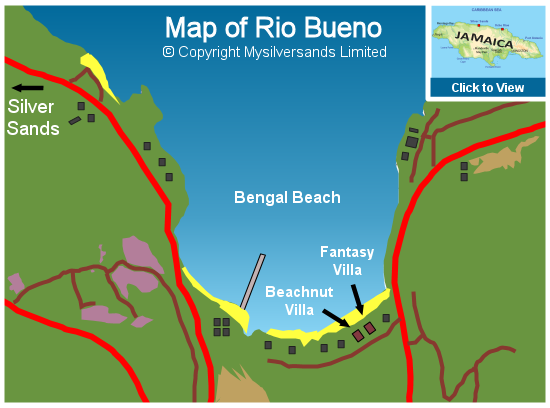 See More of Buena Vista Villa. 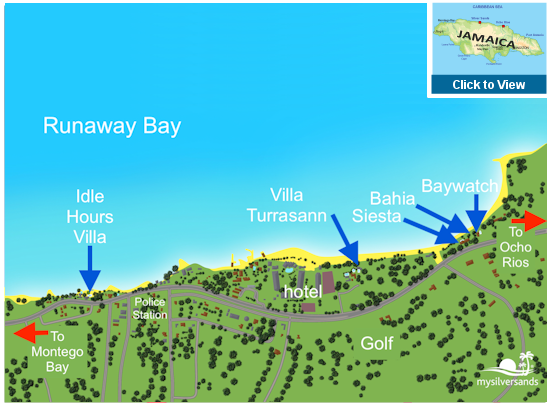 Buena Vista Villa costs from $240.00 to $440.00 per night.